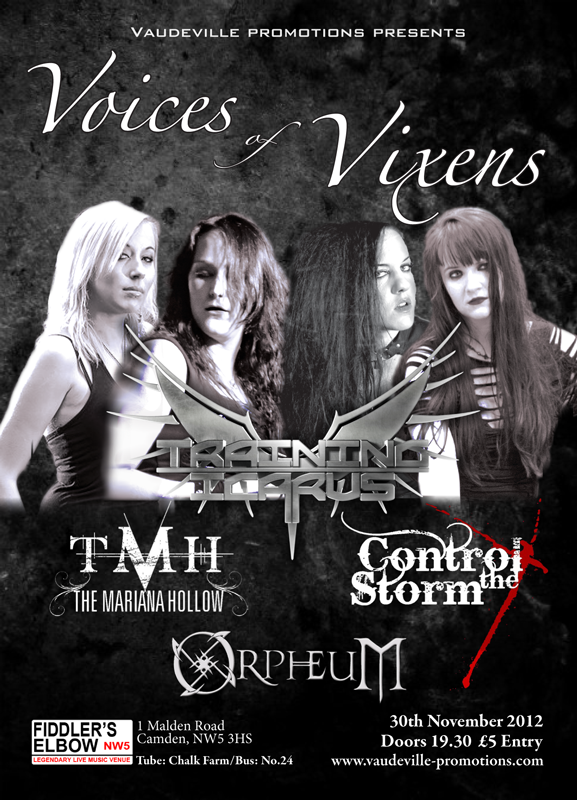 We are very excited to be playing alongside some amazing female fronted bands at the “Voices of Vixens” show next month! It’s set to be a great night and we would love to see you down there. It all takes place at The Fiddler’s Elbow in Camden on Friday 30th November. We are pleased to announce our brand new T-Shirts are now available online via our store! Available in Mens and Ladies in multiple sizes, all ready to be shipped out! A special bundle deal is also available; including our Treason EP and extras, so head over to www.orpheum.co/store to pick yours up today! We are very sorry to announce that the Roc(k)tober!! Festival has been cancelled. “IT IS WITH DEEP REGRET THAT IT IS ANNOUNCED THAT ROC(K)TOBER!! HAS BEEN CANCELLED. IN SIMPLE TERMS, OUR EXPENSES OUTWEIGHED INCOME AND THE VENUE WERE UNABLE TO ALLOW US TO GO AHEAD UNDER SUCH CIRCUMSTANCES. IT IS IN NO WAY THE FAULT OF THE VENUE OR ANYONE INVOLVED IN THE EVENT, IT WAS SIMPLY CIRCUMSTANCES THAT HAVE LEAD US TO THE POSITION WE ARE IN.